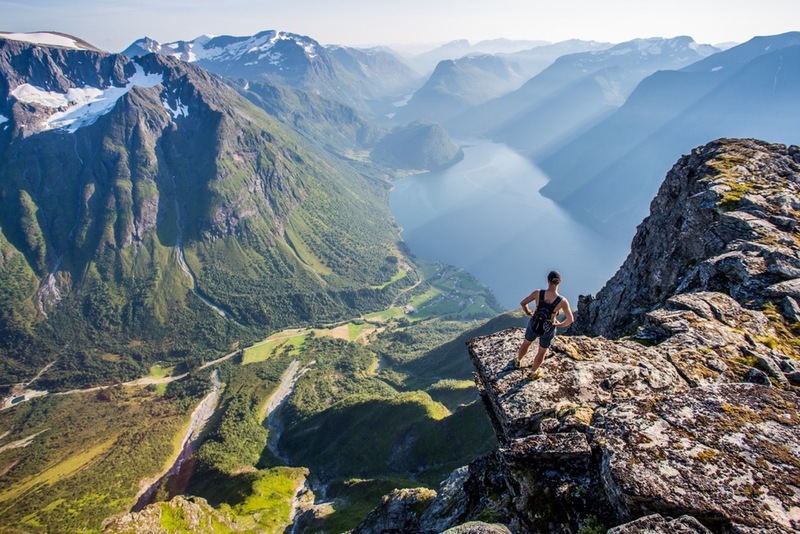 There’s running and there’s mountain running, there’s mountain running and then there’s mountain running in the Norwegian fjords. Clear waters, air so clean it’s like a lung exfoliation, alpine scenery, and a truly humbling and charming culture. Two hours and two worlds from London. Welcome to mountain running in the Sunnmøre Alps. Thanks for your booking. We will contact you shortly with more information. In the meantime get ready to head north. Three days of spectacular running, epic scenery and some of the cleanest air on the planet will leave your body so full of oxygen and adrenalin that only the pristine cotton sheets and absolute calm of Villa Norangdal will get you to sleep. As your head hits the pillow not even the endless twilight of a Norwegian summer evening will be enough to hold back the warm embrace of the deepest sleep you’ll ever have. For a totally rejuvenating mind, body and soul experience amidst Norway’s wildest nature join Headnorth on our mountain running weekend. Today we’ll jump in the car and make the short trip to Stranda, passing by the opening to the UNESCO registered Geirangerfjord. We’ll run part of the route of the Stranda Fjord Trail Race, Norway’s most spectacular mountain race. We’ll summit the peaks of Lievarden (799m) Fremste Blåhornet (1478m) & Heimste Blåhornet (1354m) with views of the fjord providing a stunning backdrop for our efforts. For those wanting a refreshing dip to sooth the aching muscles a jump from the pier into the clear waters of the fjord is a must for any self-respecting Norwegian fell runner. We’ll drive into Liasætra and run the trail into Patchellhytta, the mountain hut established by Scottish teacher and pioneer of mountain climbing in Norway Charles W Patchell in 1927. The iconic Slogen, queen of the Sunnmøre Alps, looms 1564m over us at the end of the valley. Direct flights to Ålesund airport from Gatwick, Copenhagen, Amsterdam and more destinations in Europe.